I know this doesn't sound like a typical problem for every dog owner, but let me tell you what life has been like at our house the past few weeks. On an ordinary afternoon, Molly was watching the property from her favorite spot at the window when an unfamiliar noise got louder and louder. By the time I got to the window, the helicopter - presumably on its way to the hospital - was just feet above our house. Unfortunately, Molly not only saw it and heard it but felt it as the entire house vibrated. We could actually see the pilot's face, it was flying so low. If you own your own small business or any of the home businesses available today, you understand what it's like to be your own boss. You can't pass the buck any higher because you are it. You're in charge of your own design, creation, marketing and shipping. There may be a lot of pressure involved, but it's also a great joy to see what you make and what you offer being used and loved by others. When you're in the middle of every facet of your business, though, it can often be a little overwhelming. You probably just need a way to get all your thoughts on paper and take an inventory of where you've been, how you're working now and what your plans are for the future. Today I'm going to share yet another way to use one of the dozens of Little Golden Books I've collected to make adorable building blocks. You'll need several supplies and a little bit of time to create these miniature works of art, but the end product is so cute that you won't mind at all. Gather some wood blocks of different sizes, paint, brushes, Mod Podge, a ruler, a paper trimmer and a children's book. There are two different styles of puzzle blocks in today's tutorial - for one you'll want your blocks painted, for the other it's not necessary. I've painted both sets here just so you can see your options. While the paint dries, you can break the book down by cutting off the covers and separating the pages. For the first set of blocks, we're going to put one picture on the back and a second picture on the front. The sides will stay blue. My small blocks are 1 inch square, so I cut a 3-inch square picture from one of the pages. On our 33 acres of land, we have hundreds of tall, older trees and lots of small, newer trees creating an underbrush around them. It's fascinating to see the different generations of growth around the property and picture what it might be like 50 years from now. Many of those older trees are now out in the open and exposed to the elements. In a recent wind storm, we lost a good-sized tree on the hill up toward the barn. From a distance it sounded like a pretty spectacular crash, and up close it was clear why it took the tumble. The inside of the tree's trunk had been eaten away by bugs over a long period of time. There were several places where they had nested, creating weak points throughout the bottom of the tree. All it took was one giant rush of wind across the hill and it didn't stand a chance, literally. What a beautiful week we've had - perfect weather for clearing out the gardens and getting some beautiful spring flowers in the ground. I won't tell you about the sunburn I earned while doing this bed - that's a story for another day. Part of my problem with this particular garden bed is the downspout right above it. One of the joints wasn't sealed properly, so anything I planted was flooded during the first good rain. My first plan of attack was to run to the local home improvement store and invest all of $4 in a tube of gutter sealant. Seriously. That's all it took. The only plants that would grow in these harsh, water-logged conditions were wildflowers. Unfortunately, they took over the garden and then died as winter set in. The longest part of this entire project was getting all this old growth cleared away. The change was instantly amazing. This was pretty enough with the new fertilized dirt in it that I almost wanted to leave it just like this. Almost. I don't know what it's like in your family and church right now, but here we're passing around some nasty sicknesses. I can't remember the last time our whole church family was together, although I know it means job security for my nurse friends. Today's project will help you share your love and concern with those people who need to hurry up and get well soon and use up some of your paper scraps at the same time. 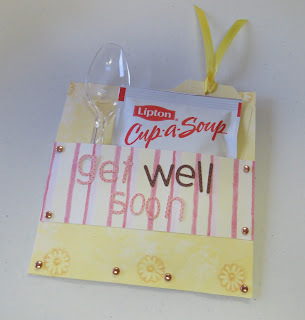 For this Get Well Soon packet, you'll need packages of dry soup mix, plastic spoons, coordinating paper, matching eyelets or brads and ribbon. Measure out a rectangle of paper that is about an inch wider than the packet on both sides and half an inch longer on the top and bottom. Cut two of these, one for the front and one for the back. With both patterns facing up, fold the front sheet down about two-thirds of the way so you can see what is written on the packet. Cover that exposed white flap with coordinating paper. 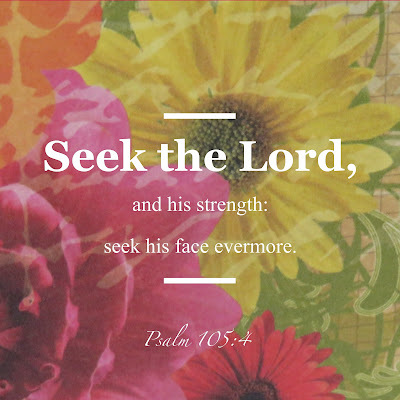 At the top of this psalm, my Bible says "A call to praise the Lord." This simple phrase stirs us up and tells us the writer's exact purpose for penning these words. What better use of our pens and our voices than to give God the honor, glory and praise due Him? 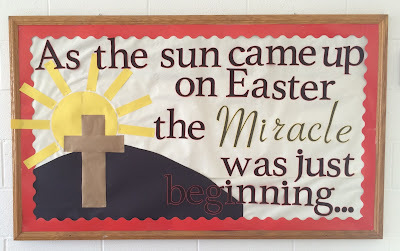 The first thing we need to notice about this opening verse is that it's not one single person chosen to praise God. Us, us, our - these plural words make it obvious that as a collective couple, family, church, community, nation and world, we are to burst forth in song. This pleasure isn't reserved for someone smarter, more talented or more spiritual, but the desire to give praise and celebrate the Lord's goodness is for every one of us. The day between Christ's burial and His resurrection must have been a cold, silent time. His disciples still didn't understand Jesus' words about His return, so they were in hiding, fearful for their own lives. Hope was in short supply, and the future seemed bleak because the fulfilling of His promises seemed impossible. So the disciples waited. The women waited to anoint Christ's body with spices. The government officials, priests and scribes waited to see if there would be any fallout or backlash from this very public crucifixion. This spring-themed cookie cake was the perfect treat to take to our King's Kids program Wednesday night. We cut it into tiny wedges and most everybody was able to sample it. I even had people texting me after we'd gone home how much they enjoyed it. Now to share a sweet secret - I made two of these giant cookies. One went to the church and the other is on our kitchen counter. With a chunk broken off one side. Now you know. 1. Preheat oven to 350 degrees. Line a 9-inch round baking dish with foil and spray with nonstick spray. 2. Use a mixer to cream butter and sugar. Add in egg and vanilla. 3. Slowly add in all the dry ingredients. You'll end up with a thick dough that will wrap itself around the beater. 4. Remove bowl from mixer and stir in candy and sprinkles.